From beginner to advanced, tumbling, cheer or boys ninja classes- we have the class for you! Is your child interested in other sports? 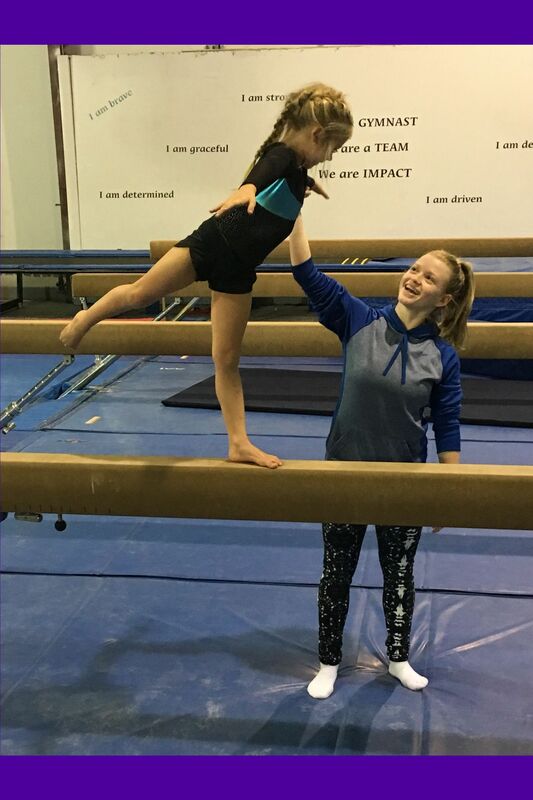 The balance, coordination, and strength gained from gymnastics transitions to other areas to help your child achieve their goals! Is your gymnast striving to be on the competitive team? Talk to our instructors about being evaluated for a place on our Pre-Team! Does your child just love gymnastics but doesn't wish to compete? Our advanced class curriculum progresses with your child to continue to grow their skills and their love for the sport! 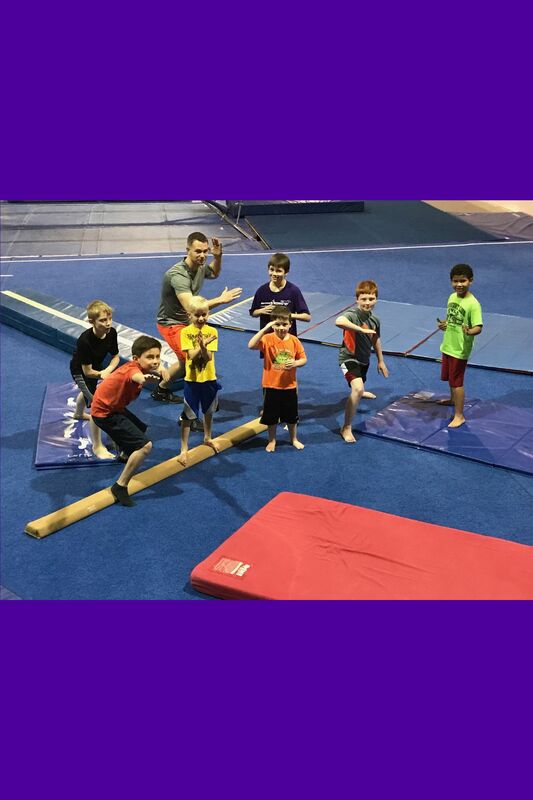 If your child has prior gymnastics experience, please speak with our front desk to be placed in the most appropriate class level for your child. Classes are $65/month for one day per week or $85/month for 2 days per week. See the front desk for special rates if your gymnast would like to register for more than one style of class. Follow one of the links below to find the class time that is right for you! When you sign up in snap, the parent/guardian is the account holder and the student is added to the account. Some classes require an evaluation by one of our staff. For these classes, please set up your account and call our front desk to have your child placed in a class. Students in our traditional recreational program have the opportunity to advance thru several different levels of classes. Students are able to move up throughout the year, as they gain new skills! Beginner is the perfect place for your child to start out if they have little to no experience. 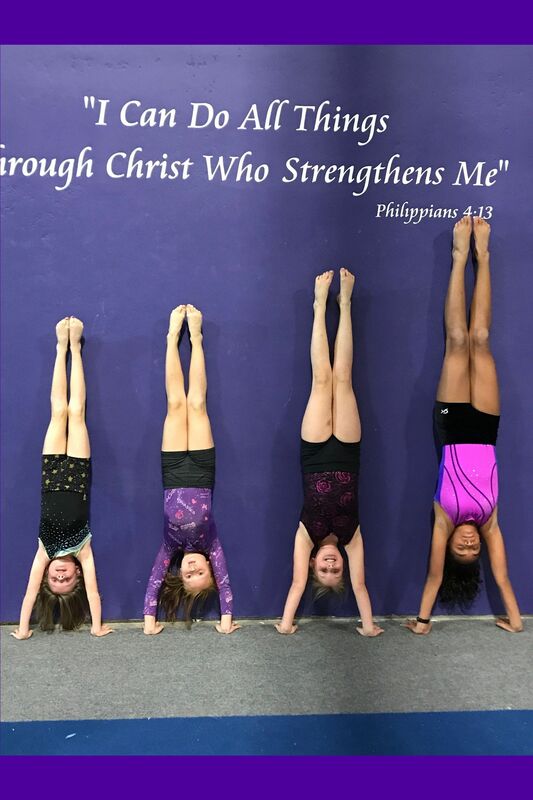 If your child has previously been enrolled in gymnastics classes, please speak with our front desk about being evaluated for the appropriate class. This class is for gymnasts who wish to compete the following year. Classes are a bit longer to prepare the gymnast for competition and allow for increased focus on shaping and conditioning. Both days of class are required for pre-team. This class is by invitation only. Please let our front desk know if you wish to have your child evaluated for placement in this class. These classes are designed for students to work specifically on floor skills. 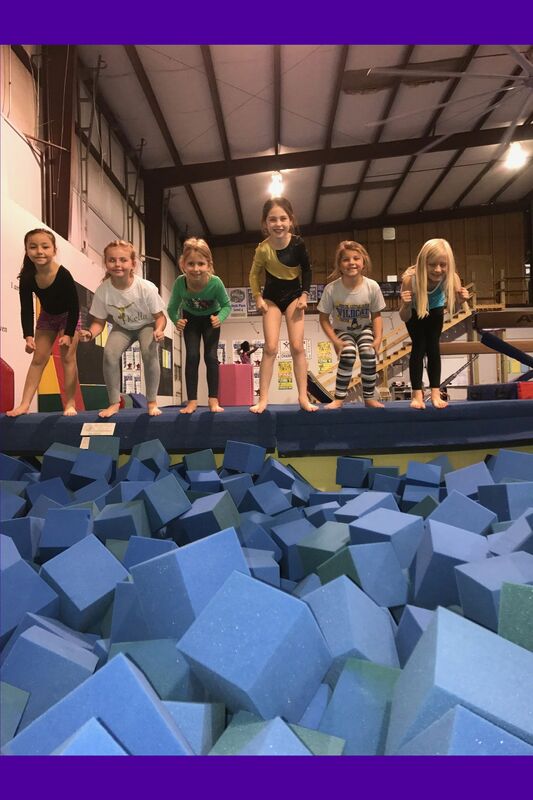 Students will have the opportunity to improve their tumbling a and learn new skills on various stations using incline mats, spotting aides, tumble trak, mini tramp, foam pit and the spring floor. Whether your child is learning a cartwheel or working on her full, we have a class for you! All levels available. 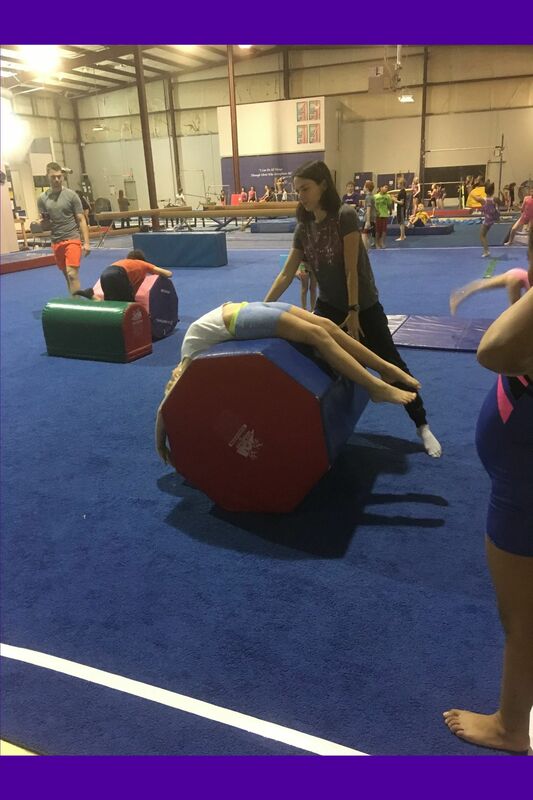 These classes will focus on basic tumbling as well as jumps and stunting technique. Looking ahead to school cheerleading tryouts? Sign up now and be ready! Backhandspring and Cheer Classes now available! Strength and agility are tested as your little ninja flips, rolls and jumps through obstacle courses and various training techniques.